Stumbling in the Half-Light follows a self-professed “chubby little half-breed” from the Six Nations reservation as he embarks on a lifetime of spiritual adventures within the Baha’i community. Through fifty-two short, autobiographical stories, John Sargent retells a life of humour, humility, loss, and faith. John’s endearing openness leads him through a life of adventure—from a childhood on the reserve, to years in Africa, to a career in architecture and finally as an administrator of First Nations communities. But his real calling: was to bring the Baha’i faith to First Nations communities throughout North America. "Great read. A life well lived that is fascinating and amazing. I just loved the author's gentle sense of humour and storytelling abilities. It left me with great stories to share." "A valuable, historical, First Nation Bahá'í perspective full of impactful and interesting stories that I often recall to mind." ​John Sargent hails from the Six Nations of the Grand River reserve in Ontario. Born of Mohawk and European descent, John discovered the Baha’i faith at a young age and has devoted much of his life to the Canadian Baha’i community. He has been involved in outreach work in Africa, remote Indigenous communities, and throughout North America. Retired from a career in architecture and Band administration he now lives in central British Columbia with his wife. One of his greatest joys is to study the Sacred Texts of the Baha'i Faith with the youth of his community. 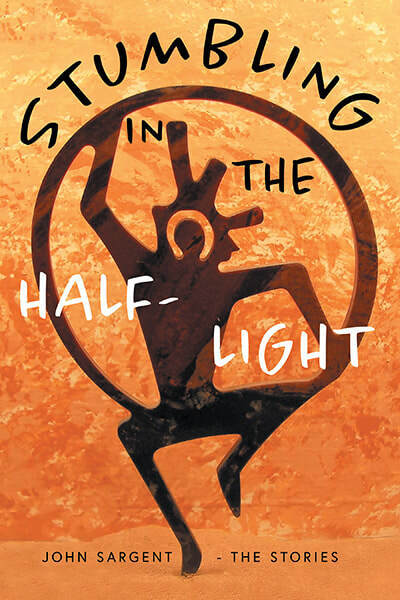 Stumbling in the Half-Light is his first book.